This is what I wore Easter Sunday. Yep, Easter. You know, that thing that happened a few weeks ago? Usually I am not this behind on outfit pics, so please forgive me. The past few weeks have been buuuusy but now that Eric has wrapped up his finals and campus is deserted, it's gotten much better. I seriously love living in a college town in the summer. The streets are un-congested, there is no wait at my favorite restaurants, and I can go to Target in disgusting clothes and not run into my students. That is what summer is to me, you guys. Well, that and maxi dresses. I am obsessed. I haven't bought any clothes in the last few months, but the only thing that has tempted me is maxi dresses. I mean, I'm practically wearing a giant nightgown. Doesn't get much better. What a gorgeous dress! I used to love campus during the summer...but now I live in D.C...busy year-round! giant nightgown for the win, all the wins. love it! Your dress is just amazing! I have to agree with Inge, the first picture is beautiful! I just got another maxi dress and the pajama feel of it is the best! I love maxis too. I love the print on this. You look great! Best Maxi ever. Love the colors, shape of it and the stripes. 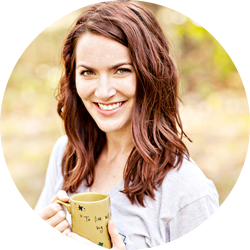 It is pretty Nautical-looking and if you don't know how I feel about Nautical Looks, check my OOTD Posts this week. 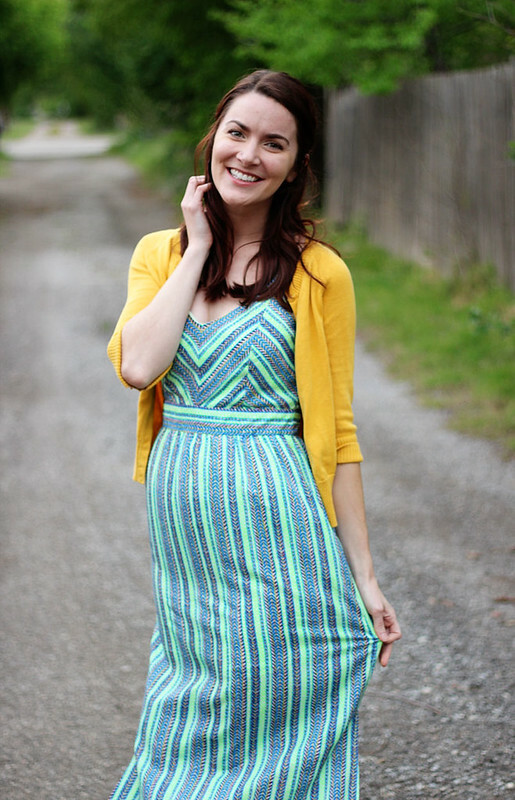 I am all about a Pretty Statement Dress (wearing a Statement Dress today - come take a look). Yours is definitely a Statement Dress. Love that you went with a Mustard Cardigan and no jewelry, letting the Dress be the star of the outfit. So, so pretty. One of your dress. I meant to say "One of your best" as in best outfits not "one of your dress" lol. Oops. Oooh, seriously, I love this dress. I don't even wear maxi dresses but I kind of want to wear this one! Ashley, this maxi is beautiful on you! I love the way the stripes change direction. Plus, the colors are great. I totally agree about the difference in college towns during summer. So much easier to get around! My sister still loves there, and I am still amazed at the change when I go back traffic wise. Hope you're having a great week! Maxi dresses are my weakness and I love this one! And that you paired it with yellow - too cute! I am always behind on my outfit posts too, but that is just how things go! I love this maxi on you, and I am so looking forward to summer. Of course where I live there will always be more traffic and people, but I love summer all the same. Very cute! 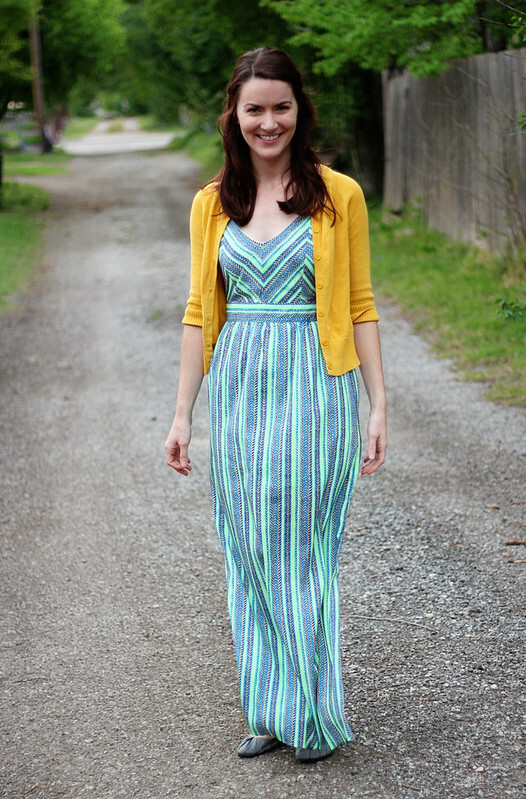 (I wore a multi-color maxi for Easter too! -- and haven't posted it yet.) I love wearing maxis in spring and summer don't you? YAY they're gone! We can all celebrate! I totally live in maxi dresses from now till September! So comfortable. Love the color and pattern on the one your wearing. That cardigan is one of my favorite colors! I actually gasped when I saw you in this outfit. I love it so much. The colors are just perfect. I love the mustard with that beautiful blue and green. I am so loving maxi dresses too. Like, you're literally socially accepted anywhere and you're comfortable like you're wearing sweats. Such a perfect idea, whoever decided they were "cool." 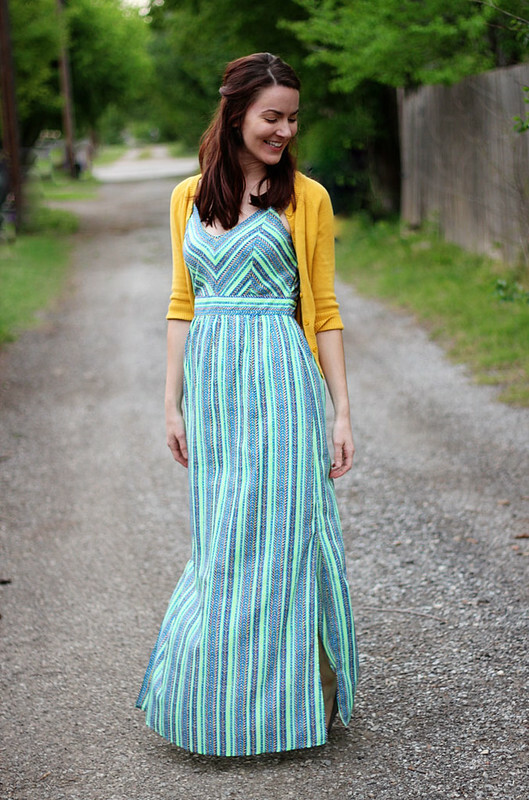 Love the colors of this maxi and it looks so comfortable! I have a feeling I am going to be living in those this Summer! Loving the colors and print on this dress. Looks great on you! Yes, we love it in the summer too! Sooooo nice! Such a pretty dress! I love the fit and colors! I've love that dress!! It is so pretty! I know what you mean about college towns during the summer. I lived in Madison, WI one summer and it was amazing and so different from during the school year. Have a great weekend! I live in maxi dresses and skirts in the summer. So cute! And YAY for our husbands being done with finals!!! looking fantastic there! that maxi dress is just so beautiful and you styled it so well. This dress is b-e-a-utiful, and I love your hair this way. I realized that days off for my high school students and me means that I run into them everywhere, so I can see the draw to a college town, haha. You know, I even went to the Caribbean with my husband and ran into a student on the beach. AWKWARD. Hahaha, "I'm practically wearing a giant nightgown"
Best maxi dress analogy ever!!! And I love this beautiful nightgown!